Leader, HR Partner or Leadership and Development Professional that wants to bring your profession to the next level. WE CAN HELP YOU! MKB Excellent Executive Coaching is affiliated with a network of international experts and scholar-practitioners. We specialize in coaching international and highly mobile leaders, high potentials, and brilliant and abrasive leaders. We research and are passionate about reducing suffering and ineffectiveness in the workplace. I teach post-graduate courses at various universities and facilitate workshops on “Global Leaders”, on “Executive Coaching”, and on “Successful Integration into a New Role.” I am the first ICF (International Coach Federation) Master Certified Coach in Switzerland, founder and Board Member of ICF Switzerland and on the Editorial Board of the International Journal of Coaching in Organization. After numerous published articles, I wrote three books in French, one on “Global Nomadic Leaders and another called “When the Visionary is Blinded: Coaching Brilliant and Abrasive Leaders” “Managing Brilliant Jerks: How Organizations and Coaches can Transform a Difficult Leader into a Powerful Visionary”. MKB Excellent Executive Coaching’s mission is to get you from where you are to where you want to be. It is for you to succeed in reaching your goals while finding more meaning in what you do. We want you to prosper and learn in a period of transition. We can help you thrive in a challenging situation and support you in bringing your profession to the next level whether you are new to the business or already an expert professional. Our systematic methodology assures that critical success criteria are worked on and no stone remains unturned. Your success is our mission. 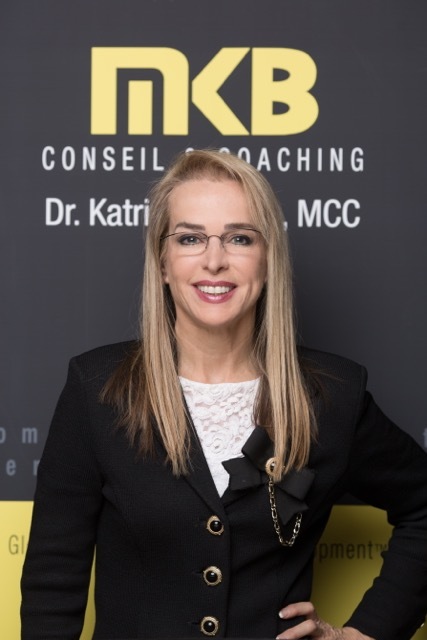 MKB Excellent Executive Coaching is also specialized in TEAM COACHING to align team members to a strategic outcome and for team members to come mutually to an agreed outcome. Team coaching allows you to have feedback as to the way you engage with your team. Gravrida amet nulla. Lorem usce volutpat lectus justo, ut suscipit felis congue ut. Vivamus ut ultricies. Vulputate pellen tesque, velit nulla commodo sem, at egestast vulputate pellentesque velit nulla dolor. Lorem dolor amet nulla. Lorem usce volutpat lectus justo, ut suscipit felis congue ut - vivamus ut amet. Coaches and facilitators are intimately familiar with the unique demands and issues of managers, leaders, talents and with leaders transitioning into new global roles or positions. Contact Us to learn more.